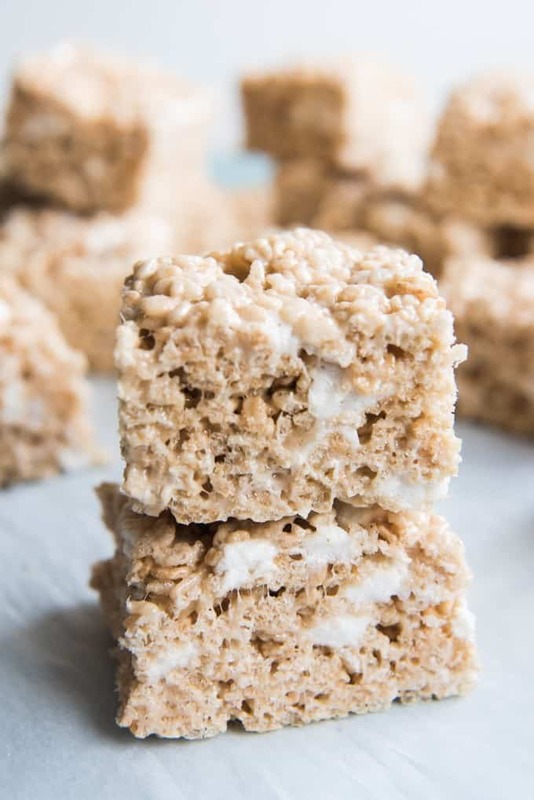 Not your average lunchbox rice krispie treats, these Salted Brown Butter Rice Krispie Treats have that salty-sweet, nutty brown butter flavor, with pockets of gooey marshmallow that make them extra amazing. I remember the first time I ever had a salted rice krispie treat. 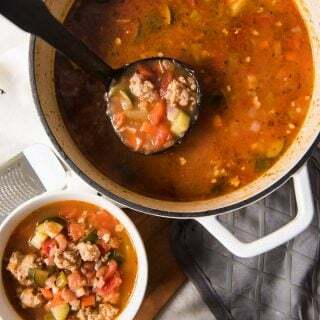 It was my last year of law school and one of my study group members, Sarah, brought them to us after having seen the recipe on Smitten Kitchen. We had a pretty unique study group for most law schools, I think, where we were all female, mostly married, and some of our members were already moms. 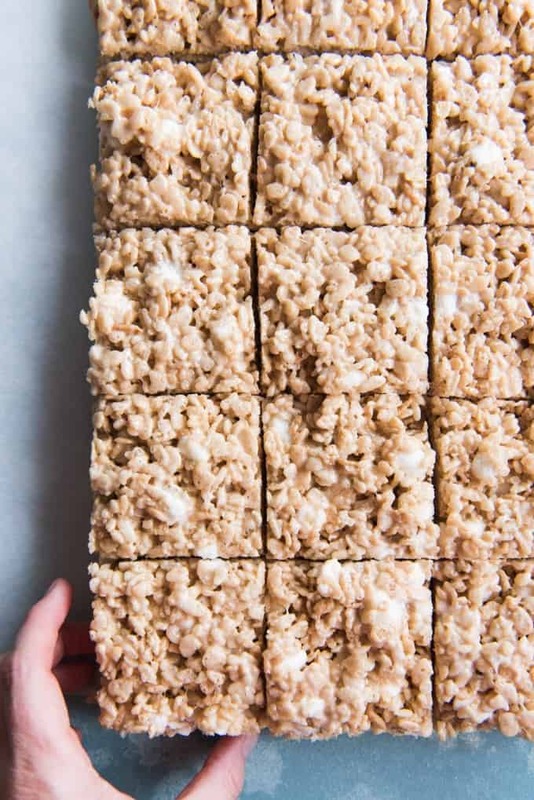 I miss those girls and those days of getting together and going over notes and outlines and prepping for exams together, and honestly, every time I make these rice krispie treats they transport me right back to those study rooms in the J. Reuben Clark law building at BYU. 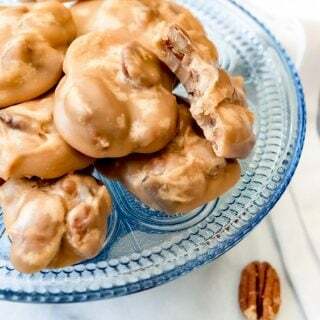 I’ve made these so many times over the years since then because they are one of my husband’s favorite treats now too, and I’ve adapted the recipe quite a bit from the original measurements to get them just how I like them. 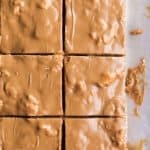 But the concept is the same as the original Smitten Kitchen version where classic rice krispie treats get a makeover to use browned butter for a warm, nutty flavor (and a divine aroma), and coarse salt, which is a surprising and wonderful change to the original. But I always have to give people a disclaimer before giving them these that they are SUPPOSED to be a little salty so they aren’t turned off. These make big, thick rice krispie treats, which is my preferred way to go. And there are pockets of only partially melted marshmallow throughout that help keep them extra soft and gooey, which is how I like them! My secret to super soft rice krispie treats is to not only use plenty of marshmallows, but to hold some in reserve rather than melting all of the marshmallows with the butter, then mixing in the reserve marshmallows with the rice krispies cereal. That”s how you get those gooey pockets of marshmallow in the rice krispie treats, and it makes a huge difference. 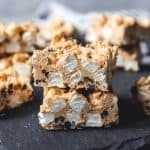 And if you love rice krispie treats, you should also check out these cookie butter rice krispie treats that are my other favorite “gourmet” version of this classic treat! One of my favorite tips for making rice krispie treats is to save the butter wrappers instead of throwing them away when you put the butter in the pot to melt. 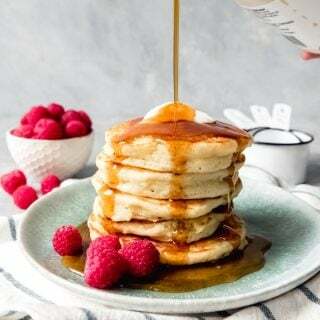 They are great for gently pressing the rice krispies into the pan without getting hands sticky or using the spoon that you stirred the cereal in with, which always wants to stick to the bars. Another tip for great rice krispie treats is to not press too hard and crush the cereal when patting the rice krispie treats into the pan. Compact them too much and the rice krispie treats will turn into dense little bricks. But gentle pressing with those saved butter wrappers will help the rice krispies stick together in perfect squares for cutting later. 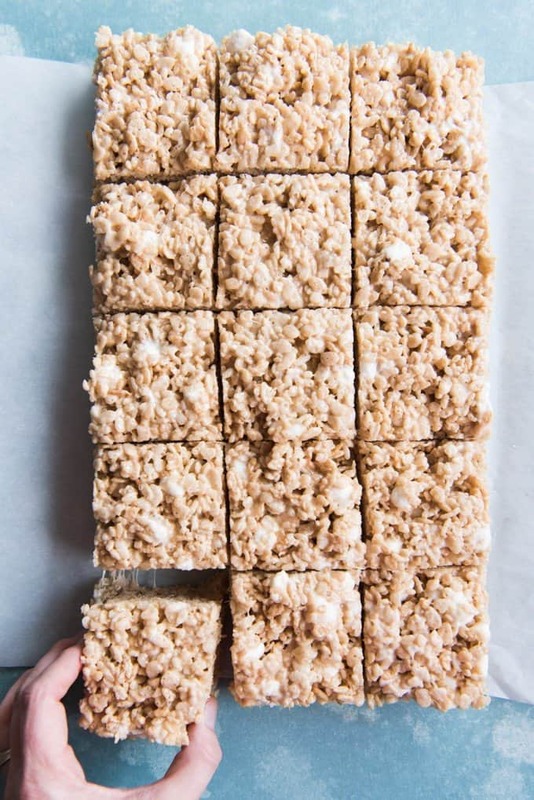 And speaking of cutting rice krispie treats, to get perfect squares, I find that the best way is to first trim away the sides of the entire slab of rice krispy treats, since my baking dish has slightly sloped edges. 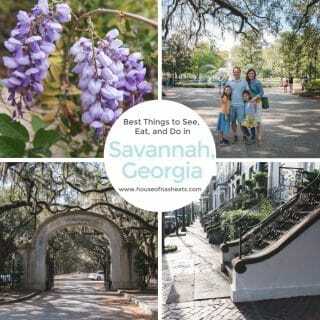 Then I slice into even squares using a large knife, and enjoy the edge trimmings as a treat for myself! 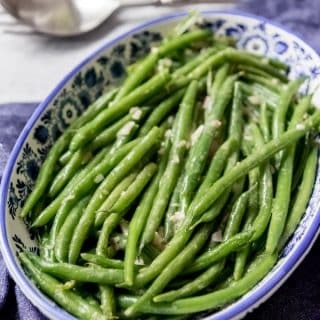 Prepare a 9x13-inch pan by lining with a parchment paper sling or generously butter the bottom and sides. Melt the butter (save the wrappers for pressing the rice krispie treats into the pan) in a large pot over medium-high heat. Once it melts, keep watching it and it will bubble, then foam, then eventually turn a dark golden brown color and smell nutty. Watch carefully though, because it can go from golden brown to burned very quickly. Little bits of brown sediment in the bottom of the pan are fine though. As soon as the butter is browned, turn off the heat and add all but 3 cups of the marshmallows. Stir the butter and marshmallows together with a long-handled wooden spoon until the marshmallows are melted. There should be enough residual heat from browning the butter to melt the marshmallows completely, but if not, return the pot to low heat to fully melt the marshmallows. Add the Rice Krispies, 3 cups of reserved marshmallows, and coarse salt and stir until combined. 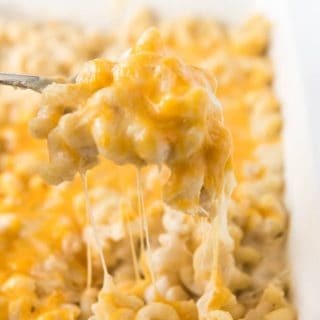 Gently press into a prepared 9x13-inch pan using the reserved butter wrappers. 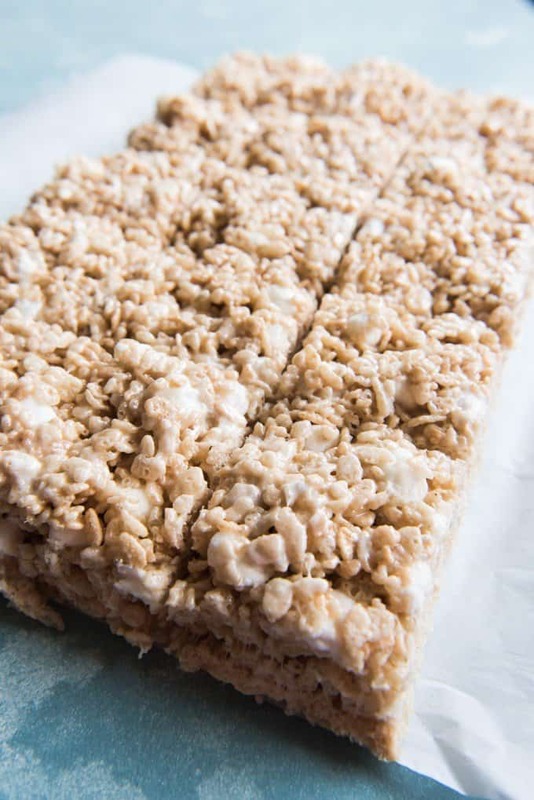 Let the rice krispies cool for an hour before slicing. oh my gosh I have not had a rice krispie treat for SO long!!! 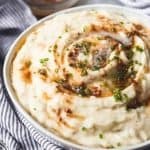 I love that you made them salted brown butter too this combination of flavours would be so, so yumm! 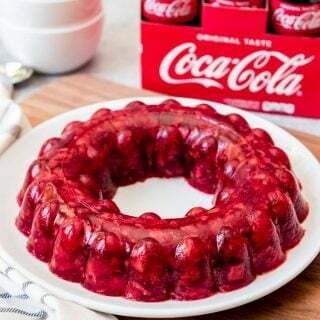 Whaaaaat?!! 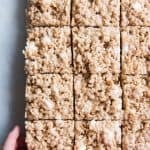 I haven’t had a Rice Krispie Treat in 500 million years, and the thought of them with salted brown butter has me weak in the knees! 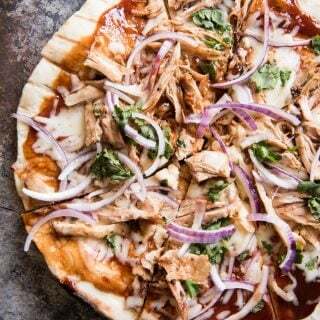 I must make these, but I have to bring them to a group to share because I could easily eat the whole pan.